"Morning will come no more"... Tape out now! 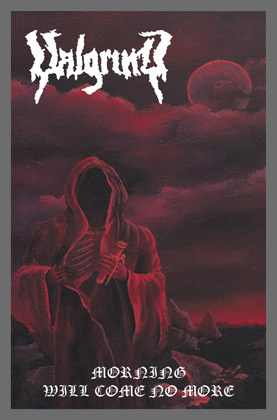 This killer and soulfull old school Death album is now re-materialized on tape! Almost 60 minutes of death metal the traditional way, with killer riffs, atmospheres, obscurity, skills and a knowledge for real compositions! Think about the burning influences of old MORBID ANGEL, old to mid-old DEATH, early IMMOLATION (First album), some BRUTALITY, some old PESTILENCE... and underground 90's Death metal in general. This was composed in the old way, and it speaks: The feeling, the riffs and the production reek of 90's Death metal passion! (Some of these songs were composed in the 90's for the band's first demos, then reworked later for the album's completion). This album was initially released in 2012 on CD, but have been sold out for years and was never materialized on analog format... This is now a problem solved. 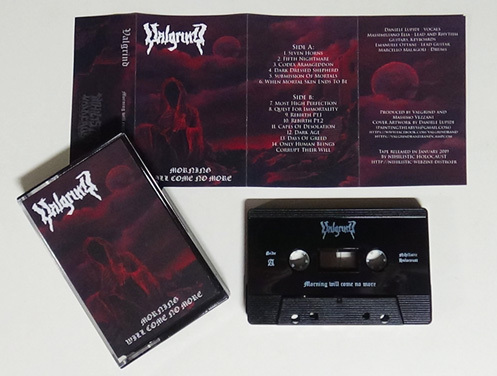 This comes as a pro printed black tape, with color cover, and is limited to 300 copies. Last edited by gabalgabow on Mon Mar 25, 2019 6:04 am, edited 1 time in total. Bands/ labels, trades are possible! Send an email with what you have… I have a trade list with more cassettes and some CDs.